We apply research and design to discover the best in collegiate architecture for today's college campuses. We understand that creating a campus framework requires a very different approach than it did just 10 years ago. 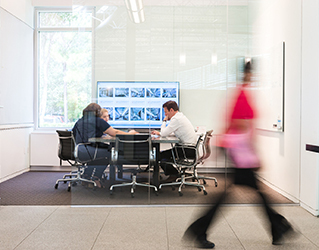 Constantly evolving technology demands that collegiate and academic spaces be flexible and adaptable over time. Today, the college campus doesn't only serve as an academic environment, it's also a home, professional workplace, training and research center, and your ultimate recruiting tool - attracting the best fit in terms of students and faculty. At Kirksey, we believe that collegiate architecture should meet both the needs of students and administrators. Designing a collegiate or higher educational facility has its own challenges and requires a very special set of skills, which our team has applied to more than 26 college campuses. We understand that it's our responsibility to create spaces that help to empower students throughout their college experience. Our overall goal is to design with a unified campus in mind – one that is able to grow and evolve with its student body. Whether it’s classrooms with unique sustainable features or student housing with modern amenities, we create engaging spaces where students can live, study, play, learn, and grow. We are Kirksey Collegiate, and we're here to design collegiate facilities that enhance campus life, while supporting and stimulating academia for generations to come. 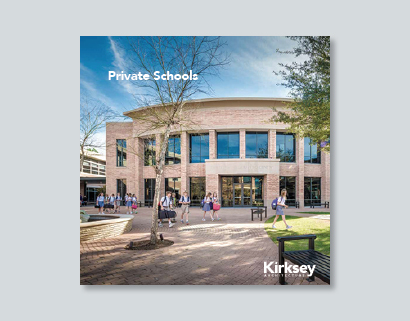 Kirksey provides collegiate design for college and universities on a variety of different projects such as academic buildings, student housing, dining halls, STEM facilities and performance and fine arts spaces.